The TGA Pavillion will be a product and branding showpiece, a 20-booth island designed like a shopping mall to stand out from the show’s 600+ exhibitors. 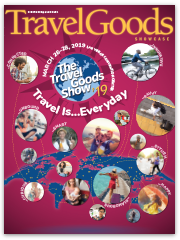 The Show is in its 16th year, drawing exhibitors from more than 175 countries and 20,000+ travel enthusiasts who are hungry for info. It’s the only travel show in North America where all attendees – media, consumers and trade alike – are badged to facilitate lead generation. 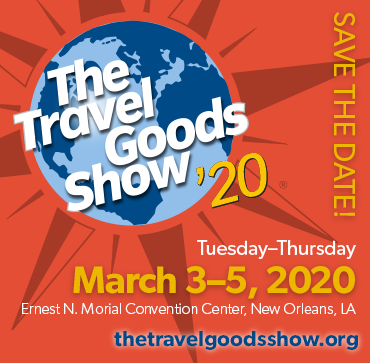 The show’s TGA Pavilion will showcase 20 of our industry’s finest in front of this curated audience of travel pros and consumer enthusiasts. The 3-day event takes place January 25-27, 2019, at the Jacob K. Javits Convention Center in New York City. The first day will be restricted to travel professionals; the remaining two days will be open to paying consumers. TGA Pavilion participation is limited to the first 20 exhibitors. This is a very restricted event and space is extremely limited. To participate, contact Cathy Hays as soon as possible: 877-842-1938, x-707; cathy@travel-goods.org. Don’t delay – once those 20 spots are spoken for, the TGA Pavilion will be sold out. You don’t want to miss this opportunity, so call now.